Jumla offers the best scenery on the north-western most side of Nepal. Rara Lake lies at an altitude above 2,990 meters (9,810 ft) above sea level covers an area of 10.8 km2 (4.2 sq mi).The lake having a length of 5 kilometers (3.1 mi) and a width of 3 kilometers (1.9 mi) has a maximum depth of 167 meters (548 ft). 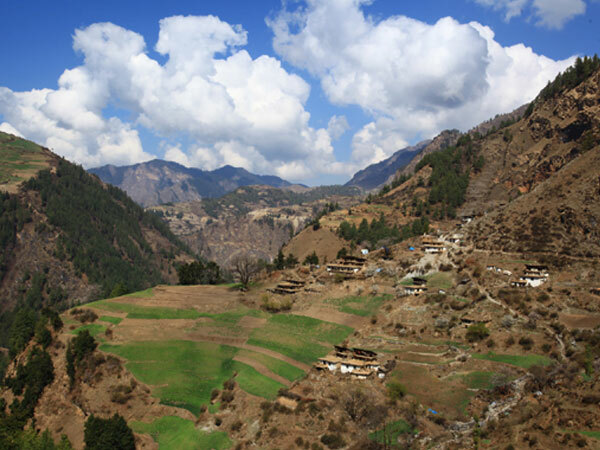 It flows into the Mugu Karnali River via the Nijar River (Nijar Khola). The morphology, physics, chemistry and biology measure high pH, conductivity and total hardness. The lake was report to be very slightly polluted and was classified as oligotrophic in limnological terms. Summer offers quiet pleasing weather but winter is cold. The best holiday time to the lake is September/October and April to May. From December to March, the temperatures go low below the bitter cold, and heavy snowfall occur up to one meter, blocking the way to the lake. April to June is warm in this region. Monsoon region is short in this region that occurs between the months of July to October. A research shows that the average rainfall is 800mm in ten years noted from 1994-2003 A.D. The surface temperature of the lake was found to be 7.5°C to 7.6°C and was visible below 14m to 15m. GORP founder Bill Greer has described the lake: "a shimmering blue jewel set in a ring of snowy peaks"
Rara Lake Trekking has been a popular destination point for trekking in the west. The trail is very much "off the beaten path" and affords glimpses of culture and scenery very different from those in the rest of the country. The centerpiece of the park is the biggest lake of Nepal. 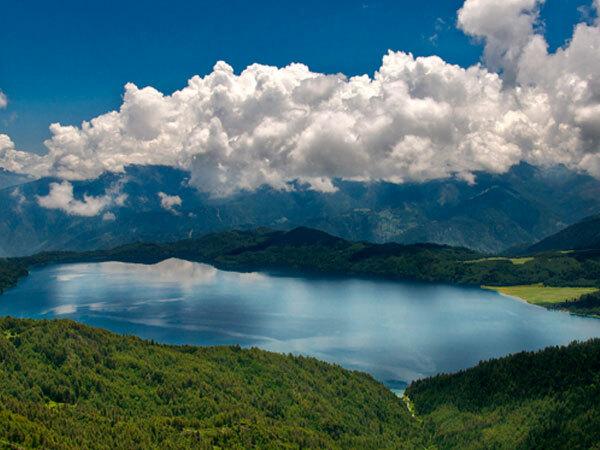 Along mountain paths and a series of picturesque villages, one reaches the magnificent banks of Rara lake. The park includes Trans- Himalayan valley with high ridges covered with forest and alpine pastures. 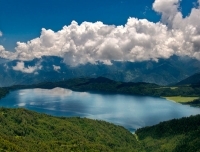 Rara Lake being surrounded by Rara National Park has unique floral and faunal importance with rare and vulnerable species. The park was established in 1976 to preserve the beauty of the lake and protect it from sedimentation and adverse human activities. The Park flora consists of 1074 species, of which 16 are endemic to Nepal; the fauna 51 species of mammals and 214 species of birds. Rara National Park, considered one of the finest parks in the world, abounds in coniferous forest and is the ideal habitat for the musk deer, Himalayan black bear and other faunae. The Danfe (Impeyan Pheasant) the national bird of Nepal flies above while a variety of fish, the snow trout, inhabit the Rara lake. Adding charm to the region is its generally open-hearted and friendly people. The lake is you can find the lake surrounded by pine, pruce and juniper forest .The Rara Lake Trekking can begin in Jumla (over an hours flight from Kathmandu) or from the nearer Nepalgunj. Jumla Rara Lake Trekking is fully camping trekking; there are no any lodge and home stay facilities. We, Guide in Himalaya operates fully supported camping trip to Rara Lake in most economical price and provides satisfying service with local guide and porter. Day 12:Sinja to Jaljala Chaur. Day 14:Jumla to Nepalgung to Kathmandu. by domestic flight. 3 nights room in peace, clean and standard hotels in Kathmandu, B andB service. Rara National Park Entrance permit and TIMS Card.